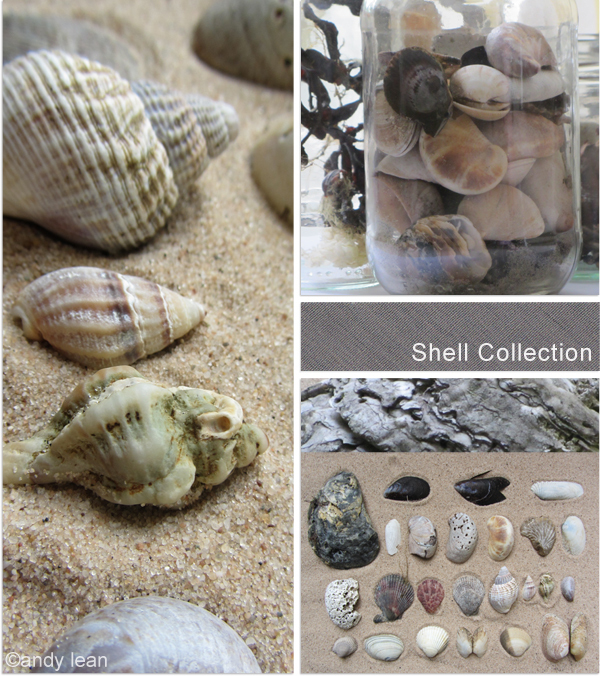 Had a lot of fun putting together the beach collections. I collected so much stuff, it has been difficult not to want to show it all. The above are digital templates from Pugly Pixel. For the cost of a cup of coffee, I got 9 templates. Just go to Resources>Freebies>Blog Photo Layouts (Part 7) and follow the link. There is also a tutorial if you are not sure how to use them. These are drawings from my sketch book of some of my finds. I have used pens, watercolours and a tiny bit of white acrylic paint on this page. 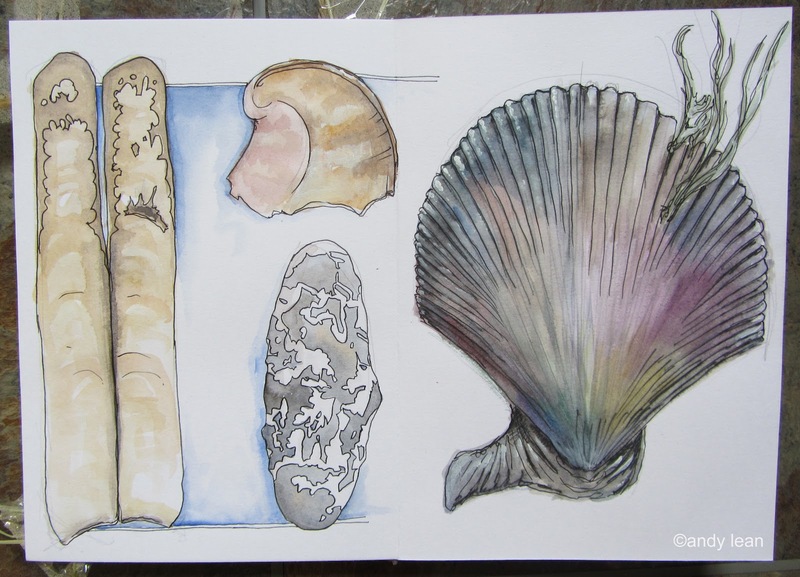 Below is a page from my field journal that I sketched while at the beach and I added the watercolours when I got back home. 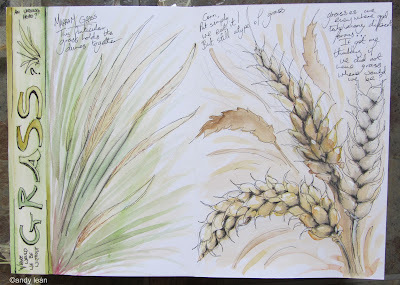 I love grasses and sometimes I feel they get overlooked even though they are a large part of our landscape. There are more sketches in the Ode to Nature class album. I can hardly believe we are at week three of this class. I am enjoying it tremendously. I had better make the best of it as the new school term commences next week! These are delightful! 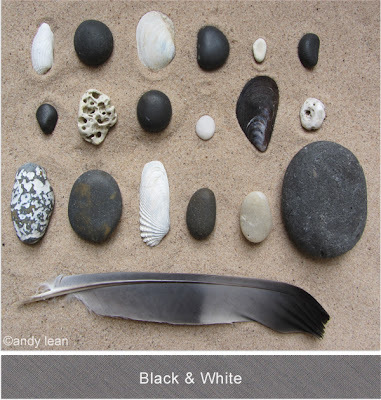 I really like how you placed them on the sand. Your sand is lighter and has a much finer grain than out here on my Northern California beach (so it seems to enhance, rather than distract, which I think mine did). 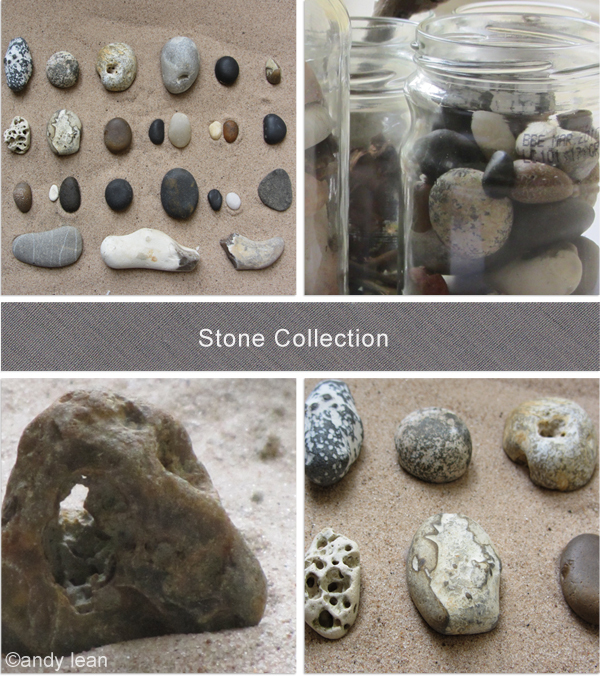 There's also not that many stones out here. Love how watercolors bring the field journal to life. And, yes, I do tend to ignore grasses. Looking forward to lesson #4. 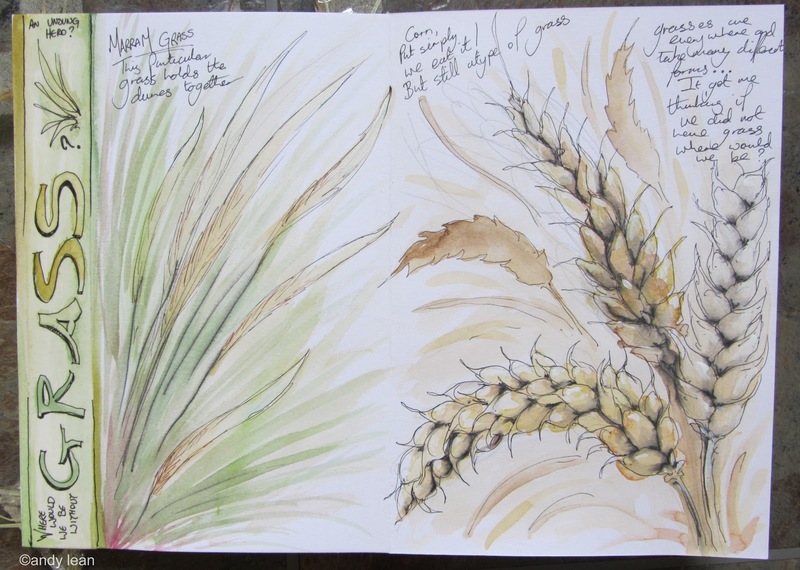 Both your pages are lovely - I love grasses too, and your shell drawing and colouring is so skilled.